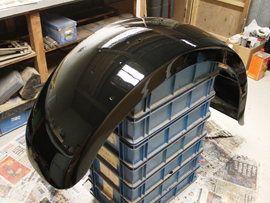 After reviewing the options, it was decided to entrust the whole project to Ian Barrett a proven and well respected professional restoration expert with the project being co-ordinated by Rob Handford, who led the superb restoration of Birmingham Guy 2548. Accordingly the vehicle was transported by low-loader to Ian's premises in October 2013 for work to begin. 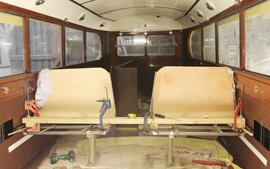 As at January 2019 the project has cost in excess of £500,000 and as the vehicle is pretty much complete, ready to be launched on Easter Monday 2019 The Museum has benefitted from some valuable legacies and whilst the Trustees are confident in getting the necessary funds together, they have launched a national appeal. So what's so special about OV4486? The petrol-engined AEC Regent chassis is an early example of the work of John Rackham, recognised as perhaps Britain's greatest bus chassis designer. The body is one of the first built by Metro-Cammell and is probably the oldest metal-frame double-deck body in existence. Only three of these early shorter-wheelbase Regent chassis are believed to remain with bodies in the UK. One is our OV4486, the only provincial example with its characterful "piano-front" styling of its period. The other two are London ST-class vehicles, very different both externally and under the skin from OV4486, although built around the same time. However, OV4486 also has a London connection; it is believed to be the only survivor of the provincial buses loaned to the capital during the Second World War. It worked from Turnham Green Garage, but was returned one month later, the day after Birmingham's Hockley Garage was blitzed. The Regent was originally saved by the 1685 Group, sold on for preservation in London, then brought back to the Midlands in 1973 by the newly created Birmingham Omnibus Preservation Society, the direct predecessor of Transport Museum. While its needs encouraged the creation of the organisation and subsequent construction of the Museum, OV4486 has had to wait almost forty years before this determined start on its restoration. Now here comes the "please open your cheque books" moment! 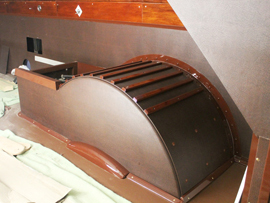 Such a restoration project has been be far from cheap. There are some funds already allocated to the Regent, but the Trustees need to raise more money to replenish our reserves through extra donations. Hence the national appeal. 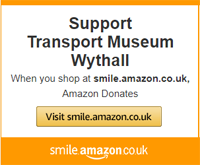 Please make a donation online by clicking here or send a cheque made payable to Transport Museum Wythall, to The Transport Museum, Chapel Lane, WYTHALL B47 6JA with envelopes/letters marked for the Regent appeal.